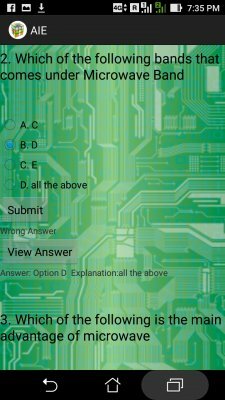 Summary: This application deals with the offline exam helper for ECE Engineering Students. 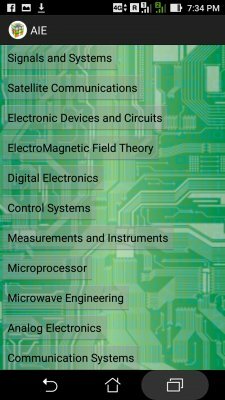 This is an application which helps the Electrical and Electronics Engineering(ECE) Students with helping in their exams. This covers a vast topic of the above said Subject. I've provided MCQ mode of questions which are easy to answer.In case if the student is not knowing the answer there is an answer viewing option too. That gives the user an answer hint and the description of why the particular answer. Its a simple and easy to use application which is always a good helper for the students.